This second column about health system reform and public administration describes how a single payer health care system could impact public administration. A single payer health system is one in which a single public entity finances and organizes all basic health care services and generally makes them available to all citizens. Analyses of single payer proposals tend to describe the effects such a system could have on costs, the organization and delivery of health services, and patient and physician well-being while ignoring the potential impacts upon public administration. Yet, successful implementation of a single payer system could transform public health agencies and their employees from gatekeepers and negotiators into servants, thus improving their efficiency and effectiveness. More Americans are advocating for a single payer health care system since policymakers have struggled to replace part or all of the Affordable Care Act (the ACA or “ObamaCare”) with provisions that would lower health insurance costs without reducing coverage or access to care. A recent Pew Research Center poll found public support for a single national health insurance system run by the federal government has increased significantly since 2014. Congressman John Conyers’ “Expanded & Improved Medicare for All Act” already has nearly double the co-sponsors than a similar act he sponsored in 2015 — more than one in four members of the House of Representatives. Next month, former Democratic presidential candidate Bernie Sanders will introduce “Medicare for All” legislation in the United States Senate. The details of current single payer proposals differ somewhat — for example, several propose implementing state-based systems rather than expanding the national Medicare program — but all would replace the long-standing, tattered patchwork of private, nonprofit and public insurance plans providing various levels of health care coverage, from comprehensive to “skinny,” to limited populations eligible on the basis of employment, age, income, ability to pay and other characteristics with a single plan which would provide the same medically necessary benefits to all residents of the jurisdiction. 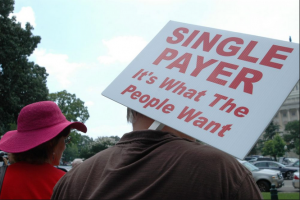 Implementation of single payer would be a complex and massive undertaking. It would entail eliminating all but one of the existing public health insurance programs—Medicare, Medicaid, the Children’s Health Insurance Program (CHIP) and assorted state and local supplements—or consolidating them, as well as regulating private health insurance in such a way it would only wrap around public coverage. Therefore, it would require restructuring or repurposing public sector health agencies at a time when their responsibilities are outpacing their human resources. These changes would affect agencies and programs, such as the Supplemental Security Income program, that are closely linked to public health insurance. Implementation of a universal system with a single insurer could redirect resources from gatekeeping to improving access to benefits. Currently, all public health insurance programs devote considerable effort to defining and determining who is eligible for coverage. For example, over one quarter of the Maryland Medicaid program’s personnel perform eligibility, enrollment and outreach duties with the assistance of hundreds more state and county employees. Their collective function is to ensure that eligible individuals receive public health insurance and ineligible individuals do not. Essentially, they redistribute public funds as health insurance coverage in accordance with public policy. In doing so, they come into regular conflict with individuals who believe they deserve more than they have received. If program eligibility was extended to all residents, the government could channel resources which would have been spent on gatekeeping into serving program beneficiaries by educating them about health issues and providing assistance in receiving preventative and restorative care. Implementation of a system with one payer of all bills for hospital, physician and other medically necessary services or items could facilitate the collection of complete information about health system inputs (payments) and outputs (services performed or items provided) which would further understanding of their effectiveness and impact on the overall health of the population. 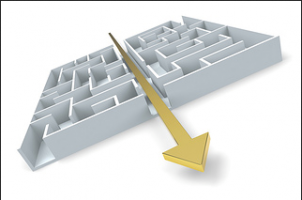 Under the existing patchwork system, public agencies and their employees must negotiate with other payers (that is, other health insurers and facilities and practitioners who provide uncompensated care) to attain information piecemeal. Such negotiations are often political in nature. Given the frequency with which Americans change insurers and providers, it is extremely difficult for government to build and maintain a complete picture of population health. Studies of public employees have consistently found a public service ethic, meaning a desire to serve the public. In fact, ASPA members commit themselves to advancing the public interest. The adoption of a single payer health system (or a single payer system in each state) could improve the morale of health sector public employees by freeing them and their organizations to do just that.